We just got back from an amazing trip to Las Vegas that was SO long but short. Have ya’ll ever gotten home from a trip and thought… that felt like forever but also went by in a blink of an eye? It’s like post-trip FOMO // depression // can I sleep now? I don’t normally take early morning/late evening flights unless it’s for work, but I took the cheap route on this trip (flights are cheaper at this time since no one in their right mind would want to fly at these hours for fun). But I have to pat myself on the back and say… it was actually cool to do SO much in only four days. While I’m still recovering from it all, I’ll sleep when I die! Our flight arrived at 6:55AM – YES – AM – on Thursday morning and returned to Dallas at 11:30PM on Sunday evening, getting us home around 12:30AM since I checked a bag (girl probs). 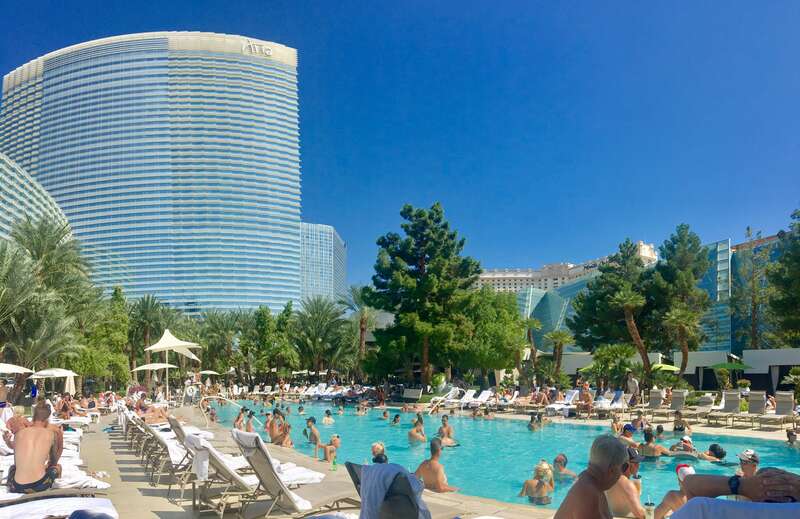 We spent four FULL days in Vegas to see our sweet friends get married poolside at The Mirage. It truly was a gorgeous ceremony and fun after party. But we made sure to make a trip out of it as well. AKA Best Vegas hotel ever. 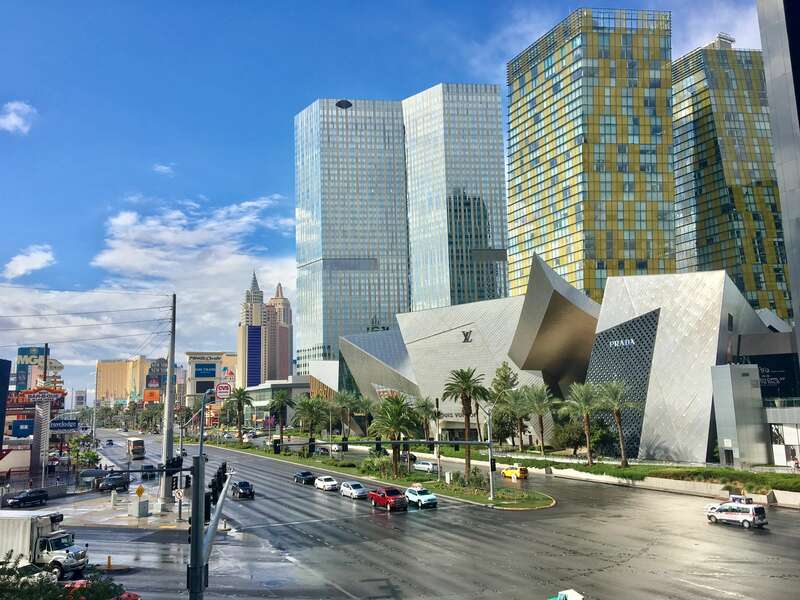 Hot points: new, modern, not as smokey (although you can’t completely get away from it), walking distance to the strip, the tram that takes you to Bellagio, shopping at the Crystal mall, amazing restaurants, best spa, best gym, best pool, best pool club, best everything. Trust me. Since we got to Vegas at the crack of dawn, we walked the strip in the early morning. This was so much nicer than waiting until the afternoon when it’s super crowded, hot and full of non-sober people. Not to mention, we got to witness how gorgeous Vegas is. Funny story – I purchased 2 tickets to take us to the observation deck at the Paris/Eiffel Tower thing. My thought was the deck would be located just one floor above the restaurant. WRONG. Oh, by the way, I’m terrified of heights… like can’t move, shaky legs, feel like I’m falling over every second terrified. I clung to the rail as my boyfriend laughed and recorded the whole thing. Great views – but careful if you’re afraid of heights. Afterwards, we enjoyed the views at a much more comfortable level at the restaurant. 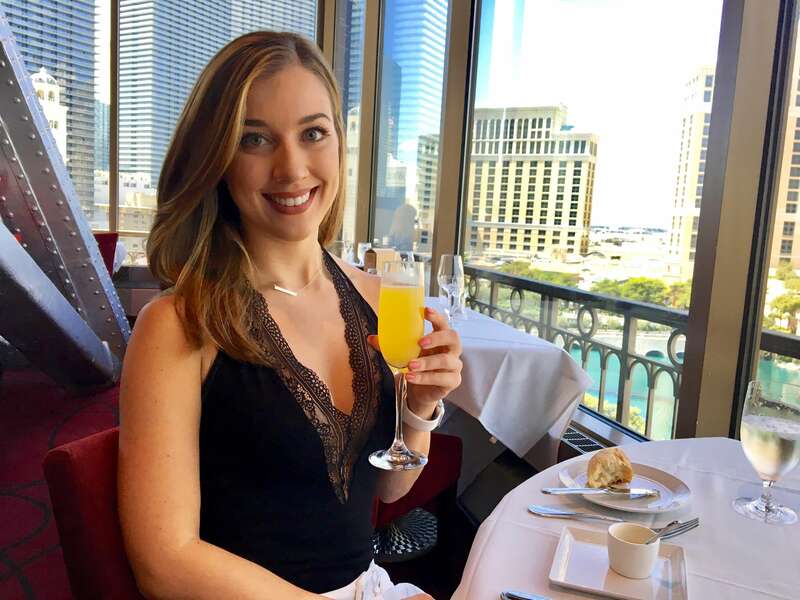 Of course I had to snag a glass of champagne in the eiffel tower. The service was absolutely amazing and they surprised us with a “Happy Anniversary” dessert. PS it wasn’t our anniversary. 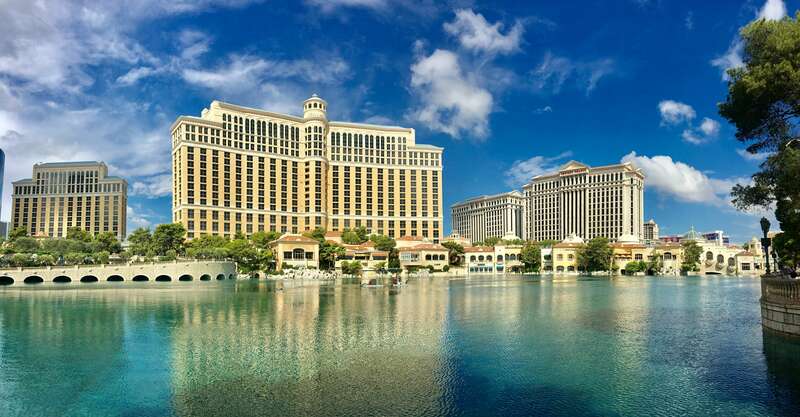 Vegas is known for their massive hotels and resorts. What this means is that the massive hotels have massive spas. 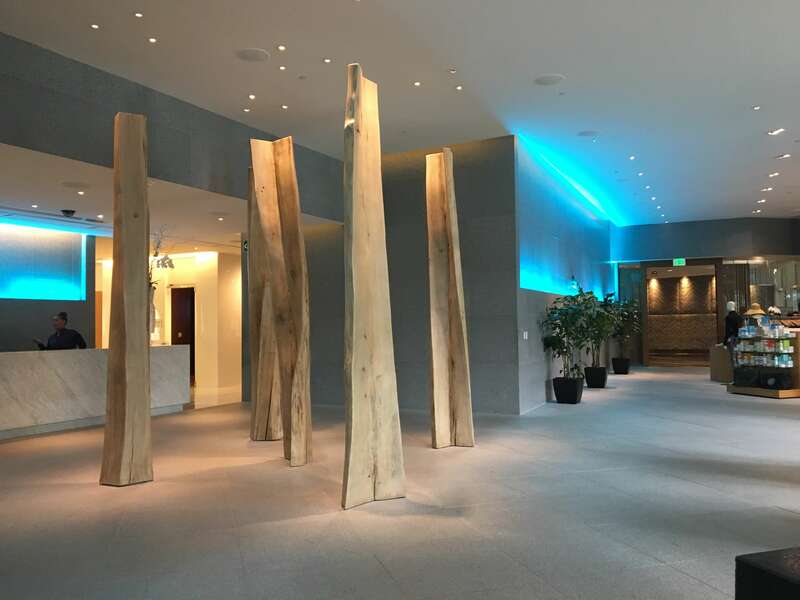 I recommend buying a day pass to the Aria spa which includes 3 pools, a co-ed pool that overlooks Liquid – the day pool club, meditation rooms, steam room, sauna and pure relaxation. What’s a vacation without a little relaxation? We didn’t get the chance to go to a club during the day, but from what I saw from the spa, Liquid looked really fun. Not overly packed but still tons of people, great DJ with music I actually know (mostly hip hop/top 40), newer and cleaner pool. Of course there are hundreds of clubs to choose from in Vegas, but my personal favorite is Omnia at Caesar’s Palace. The club has 3 options: 1) a roof top lounge that has amazing views of the city, 2) a hip hop/rap club and 3) a techno/house/dub club. The third one was the largest in size, boasting hundreds of laser beam lights, several levels for table service, fog machines that produce enough fog to cover a small farm, the loudest bass in Nevada, and many features that could put even a non-epileptic into a slight seizure. But really fun. I’ll admit I’m a slot machine hugger mostly because I don’t know how to actually gamble. But this trip I took time to learn how to play Black Jack, and after a few rounds actually enjoyed playing. Until I lost. With a Tiffany’s, Cartier and Harry Winston on every corner, this is easy to do with the right approach! 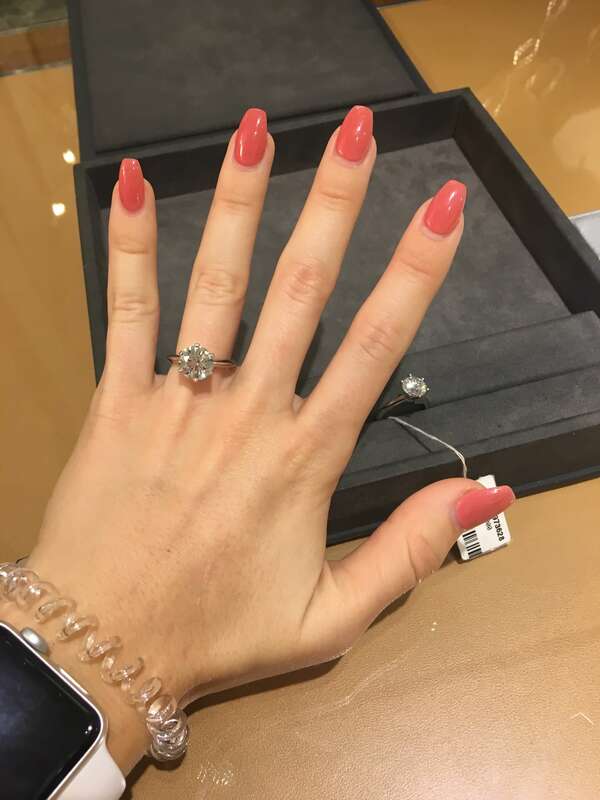 Check out this 3.5 carat, $120,000 ring from Tiffany’s. 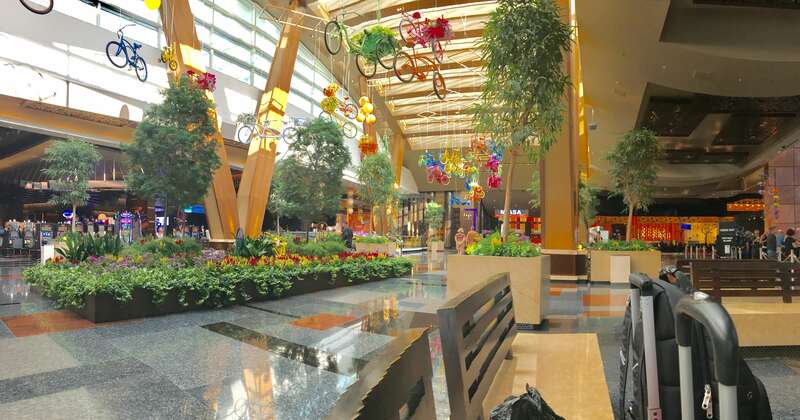 This might sound strange being that Vegas is the party capital of America, but the Aria gym is worth it. 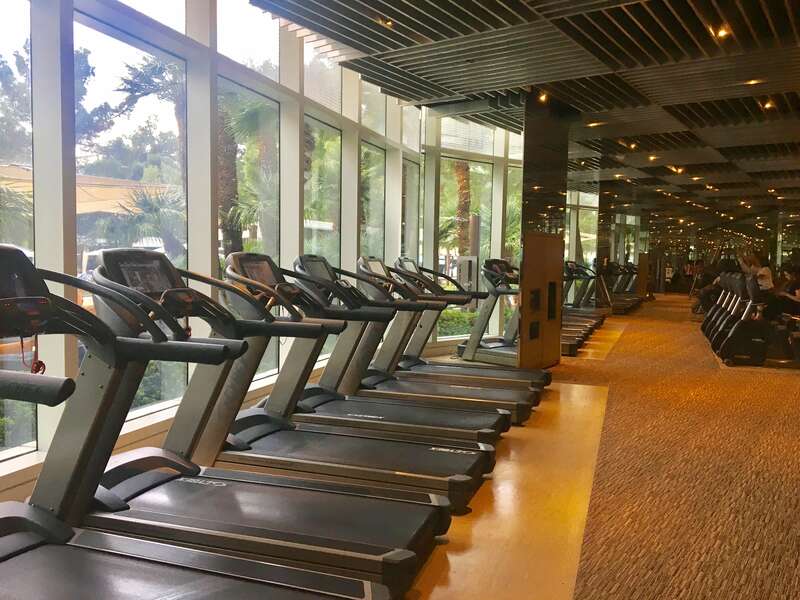 Over 4,000 square feet, it sits right up next to the pool with a gorgeous view from the cardio machines. It felt so good to get up in the morning, get hydrated, sweat off some of the food/alcohol consumed, and start the day right. 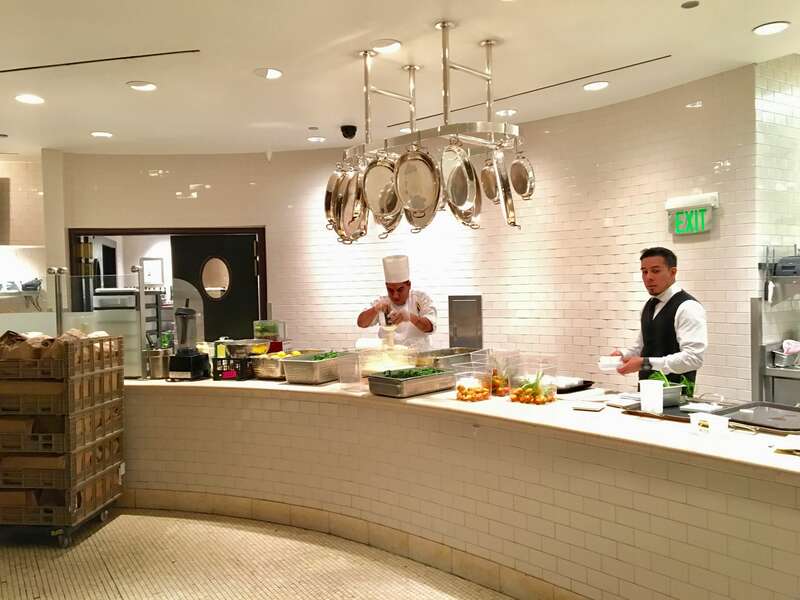 Buffets seem to be a thing in Vegas, and you can’t say you’ve experienced Vegas until you went to at least one. We went to the buffet at Aria and at The Mirage after the wedding. This is perfect for a meal after day drinking at the pool (which is where we went after spending Friday at the Aria pool). 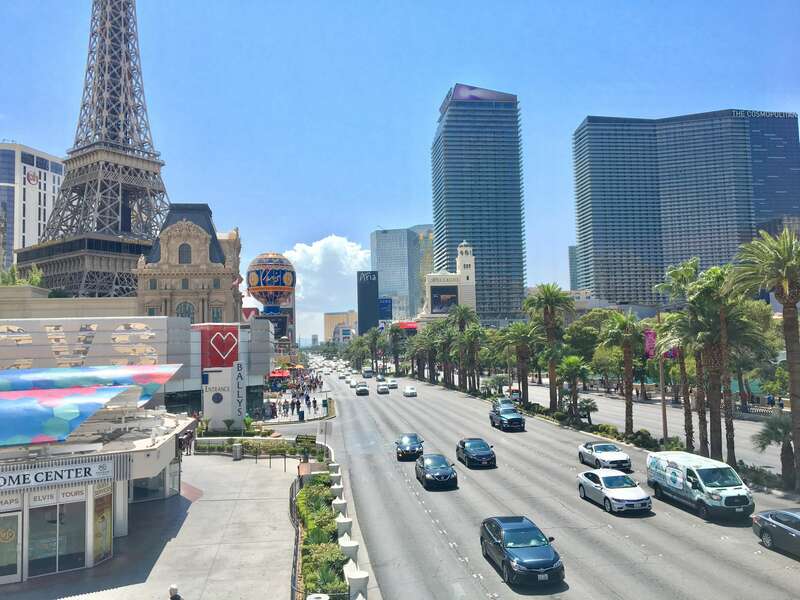 What’s your favorite thing to do in Vegas? What am I missing? This was only my second trip to the city of lights, and I’d love to go back to explore more. 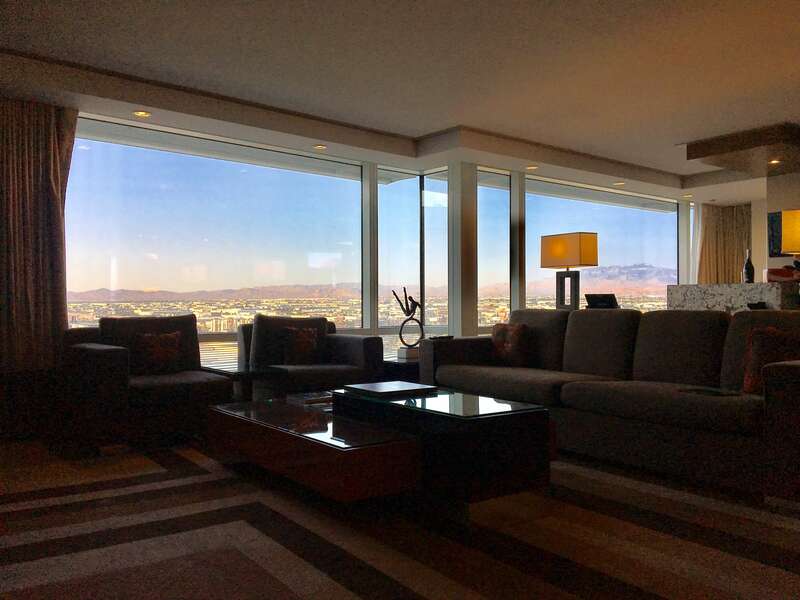 Perhaps next time get off the strip and tour the rugged terrain that surrounds Sin City. 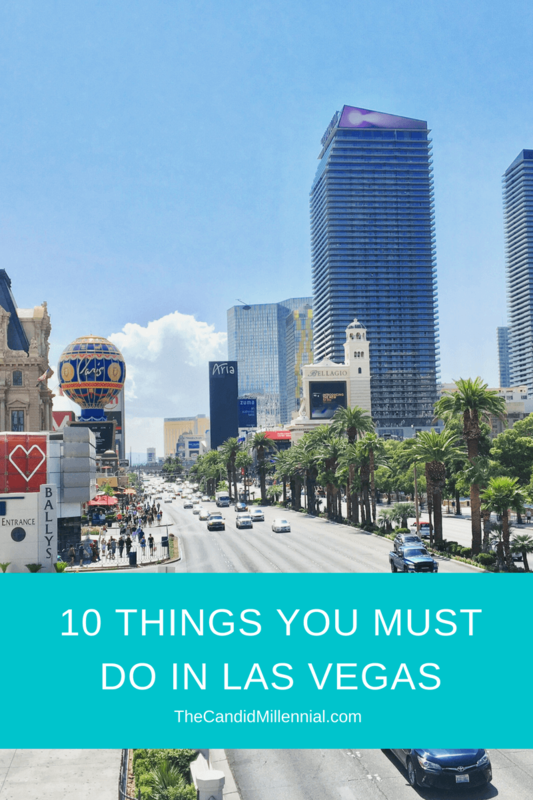 Great bucket list items, looks like you had an amazing time! I’m glad your trip did not overlap with the sad events of the past weekend. I feel like terrible things keep happening left and right, but it’s no reason not to keep going out and experiencing the world.